I wanted to let you know about some Perez work I have on my site. My name is Rich Bernatovech and I am self-publishing a graphic novel called Sentinels. It is a 216 page book in black and white, written and inked by myself with pencil work by Luciano Vecchio. 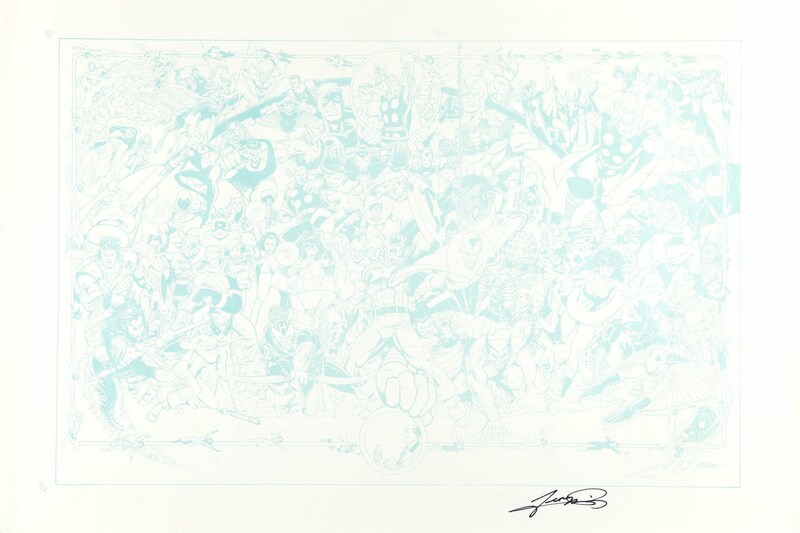 George Perez has been a huge inspiration on my work and I've known him for a good 15 years through Titantalk. Sentinels will be released on December 3, 2003 and is solicated in the new Previews magazine that comes out of Wednesday of this week. The book will have 4 pin-ups of some of the characters in the book and 1 color team shot all drawn by George Perez. If you get a chance please check out our website at www.sentinelsonline.com and view the flash animated trailer we have done to promote the book. If you like that then look throughout the site and in the gallery section we have the first Perez pin-up. In the October Previews (coming later this month) take a look at the CrossGen section for the hardcover collection of every single CrossGen cover, sans logo, text et al, going for a retail price of $29.95. Should be a great coffee table item.